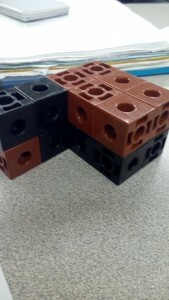 In math 9, we learned about surface area and volume. 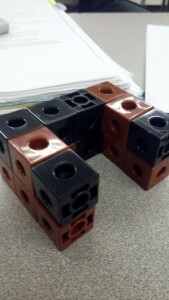 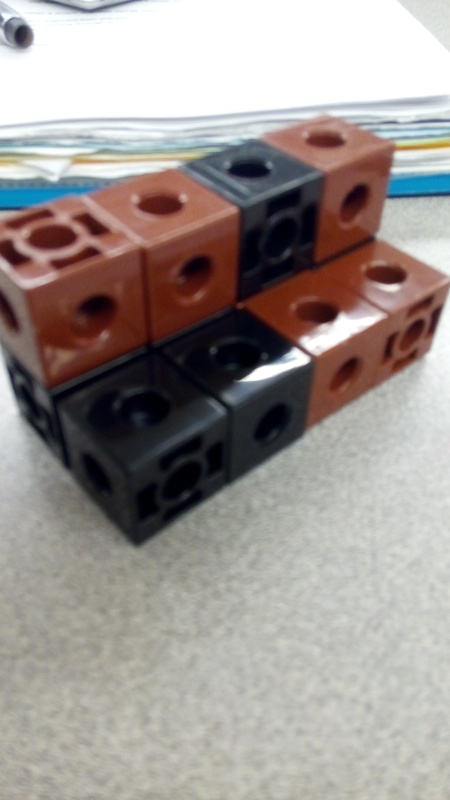 For this, we used square linking cubes that were to represent one or two units to to help demonstrate volume and surface area. 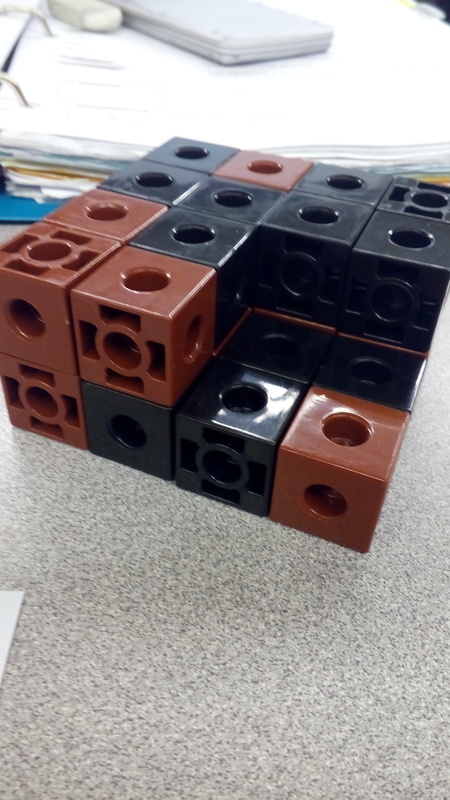 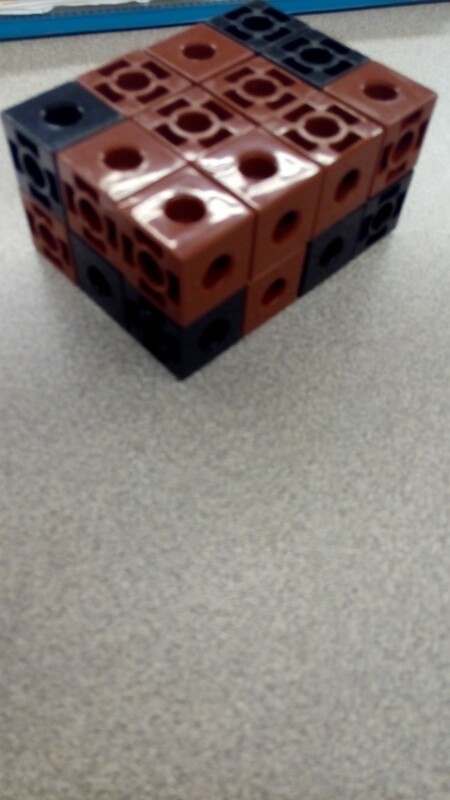 Surface area; the total area of the surface of a three dimensional object, for example: the surface area of a cube is the area of all 6 faces added together.Volume is how much the object can hold, and is found by using this forumla; length x width x hight.